Toronto, Ontario, January 24, 2019 — On January 25, 2019, a ROM Connects event will be held at the Royal Ontario Museum: Dan Riskin, former co-host of “Daily Planet,” the Discovery Channel’s flagship science series, will moderate a panel of experts who will provide the latest updates on the OSIRIS-REx mission. Media representatives are invited to attend. Those who cannot go to the event in person can watch it live on the Canadian Space Agency’s YouTube channel. There's going to be some kind of big reveal about Bennu in a couple of weeks at the LPSC conference. I don't know what it is, but I suspect it has to do with a very low density or maybe a very large void inside the asteroid. Or maybe there's stuff flying off the surface. More pictures would be nice. A global map would be nice! By "big reveal" I mean surprise. 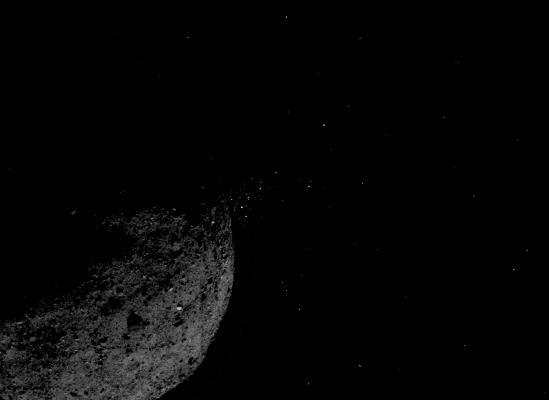 There's something unexpected about Bennu. This is what I love about these missions. We don't know what we don't know until we do. I'm looking forward to the "big reveal." I think that OSIRIS-REx will discover that the asteroid is hollow inside and is in fact a colony ship piloted by meerkat-sized aliens from a distant star. Lori Glaze, acting director, NASA’s Planetary Science Division, WashingtonDante Lauretta, OSIRIS-REx principal investigator, University of Arizona, TucsonCoralie Adam, OSIRIS-REx flight navigator, KinetX, Inc. Space Navigation and Flight Dynamics, Simi Valley, Calif.Rich Burns, OSIRIS-REx project manager, NASA’s Goddard Space Flight Center, Greenbelt, Md. For dial-in information, media must send their name, affiliation and phone number to Lonnie Shekhtman at [email protected] by 10 a.m. March 19. Judging by this article I am guessing the seven papers have already been published? Nasa has revealed "unexpected" findings from the first data received back from a nearby asteroid, offering clues to the origins of the solar system and even life on Earth. To put this into context: the rocks acquire orbital velocity with 2-4 m/s, which they can do by just rolling down a slope and bouncing a bit upwards at some point! 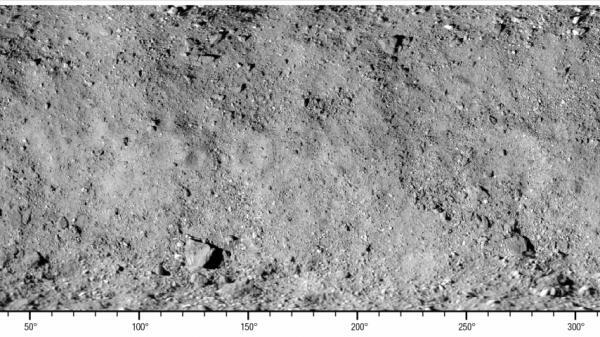 EDIT: And more explanation, paraphrasing what was said today during the LPSC meeting: there is a transition between high and low slopes at ±23º, which is where the asteroid's Roche lobe intersects Bennu's surface. 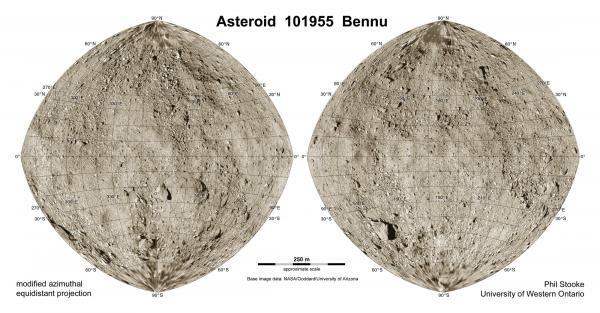 That goes to 70 degrees N and S. Here I have used other images to add the poles and made a different kind of map showing the shape of Bennu as well as its surface features. The low escape velocity is due to low local g, which also means it's hard to get to 2-4 m/s just by rolling downhill, no?